Interview with Adra Janean...She's an actress, model, host, and producer. 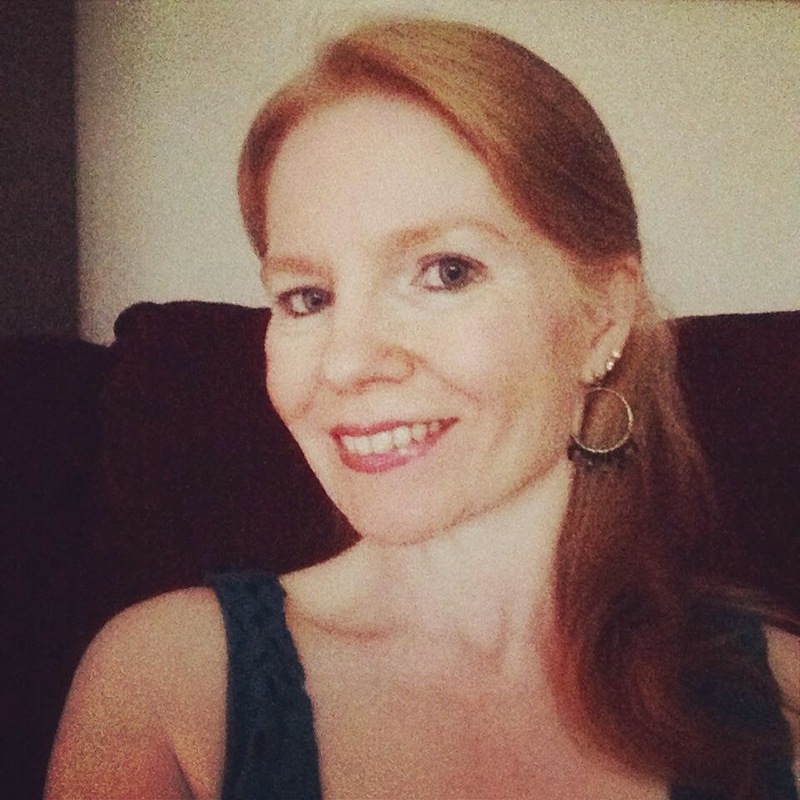 Recently, I had a phone interview with Adra Janean, and we talked about a little bit of everything from our ginger hair to Justin Bateman to learning to release the negative into the universe. She even shared some of her doubts and dreams. What I really liked when I spoke with her was her positive energy and outlook on life. She's out in LA working her dream. She grew up in a creative environment where she started dancing at age three and has always been involved in arts whether it was performing in musicals or painting. She also loves roller skating, and was on a Roller Derby team ( Lake Tahoe Derby Dames) where her name was Window Pain. Heather Graham inspired her roller derby characters from the movie she was in "Boogie Night." Adra also says it helped her work on her weaknesses, and turn them into strengths along with channeling her energy. She did roller derby before her transition to LA, and she still roller skates today. In high school, she was voted most likely to have her own talk show and she did with "Wake Up Tahoe" where she was not only a host but a producer and co-creator. She's been in commercials, indie films, television, on stage in theatre at Engine 41 at Knotts Berry Farm, and other talents are: saddle seat equestrian, playing tuba, snowboarding, singer and dance tap. She's a believer in training for acting where now she's currently been studying acting under Michael Silver at Stuart Roger's Studios in North Hollywood and attends Expressions Unlimited in Sherman Oaks, California with gifted A-list Coach to the stars, Bobbie Chance. She said this about life: "All it takes is putting on the skates (if you want something), stop talking about it. No stops, only flinches." Maria- How long have you been acting in Los Angeles? Maria- What did you want to be when you were a child? Adra- I wanted to be a horse trainer and a movie star. I really realized it on a trip that I wanted to be a movie star. I was on a cross country trip in Wyoming, and a friend ask me on a speaker phone what did I want to be when I grow up. I answered a horse trainer and movie star. I already had been a horse trainer. Here I am in my 30's and, I want to be a movie star. I had my doubts. I'm thinking, am I talented? Am I too old? Then, I realize I had to figure it out. I rather try than look back at my life and wish I had. I'm not going to let things stop me. Maria- What do you love about acting? Adra- It fulfills me, and it makes me happy. I'm creatively fulfilled. Acting is good therapy as well. Bobbie Chance said to me "Some people are born to act, and can't do anything else. You have to be doing this. You have to act." I'm still learning to act. It's a process. I'm learning to release the negative and replacing it with "I Can." Negative affects your body, mind and spirit. Dropping the veil of "I can't" and "I won't" to "I Can. and I Will." Maria- What's your acting process? How do you prepare? Adra- I channel character in life and pull them out of my pocket I do alot of imagination work. Some people ask the character to come into them. I prepare myself for the scene. I think about everything the character has done in the movie. I just do it. I 'm thinking..What's going on in the story. I think about the scene after I finish as well. I'm thinking, was I present and real? Was I connected to myself? I also find that meditation also helps with my acting. Meditation helps me with my imagination. Maria- Is it hard to pursue acting? Adra- It's a hard business to break into. My friend David Banks told me. "It's not a year plan, it's a lifetime plan." Sometimes you have to create your own success like make and produce your own movie. You have to be positive, kind, easy to work with and talented. I also keep working on my craft by going to classes, character building and working on centering myself. I'm learning to just stop thinking. When it comes to auditions, just know you did your best work. Don't focus on whether or not you get a part or a call back, it's up to the Universe. Maria-You mention that you release the negatives into the universe, what is the universe to you? Adra- Universe could be a lot of things. Sometimes it's us. By me saying I release negatives into the universe, I could be saying it to a friend or saying it out loud or telling it on social media. Maria- Speaking of social media, do you enjoy it? Adra- I love social media. I love networking and creative people. I'm part of Stage 32, and I youtube. It's a great way to get involved with other creative people. Just really thankful I'm part of Stage 32. It's also vital to have a fan base as well on the platforms, and social media is where it's at. It's a great way to network and to encourage others and to be encouraged. Also, it's not always about how quantity of followers but of quality of followers. It's like a baby, you've got to nurture it. Maria- What's the latest film you're working on? Adra- I'm possibly going to help on a short here soon, and I'll be helping produce a film as well. Maria- Any goals you want to accomplish with acting? Adra- One of my goals is to meet everyone from around the world. I love to travel. I want to go to India, Iceland, China and other countries. I want to take my craft and learn it in different styles and work with different people. I'm building and preparing myself for this. Maria- Any actors that inspired you? Adra-I love "The George Burns and Gracie Allen Show." Growing up, I was a big fan of Anne of Green Gables and Little House on the Prairie. I'm a big fan of Carol Burnett and Vicki Laurence. They're funny and hilarious redheads. Kathy Bates and Meryl Streep have influence me as well. Adra- Johnny Depp movies..."Benny and June." Johnny does physical comedy, and I love that. I'm a huge fan of Star Wars. Adra- My Mom ad Grandma. Maria- Any favorite quotes you would like to share? Adra- I'll share a couple. My Mom says "Don't waste your energy on negative. Waste it on positive." Here's one of my own: "Life's too short not to smile." I shared with you some of the best parts of our conversation, and she had so many encouraging quotes. All of her social links are below and please follow her. Read more about her on her website and Facebook page. Her Facebook page lists movies she's been in along with some of her commercials.